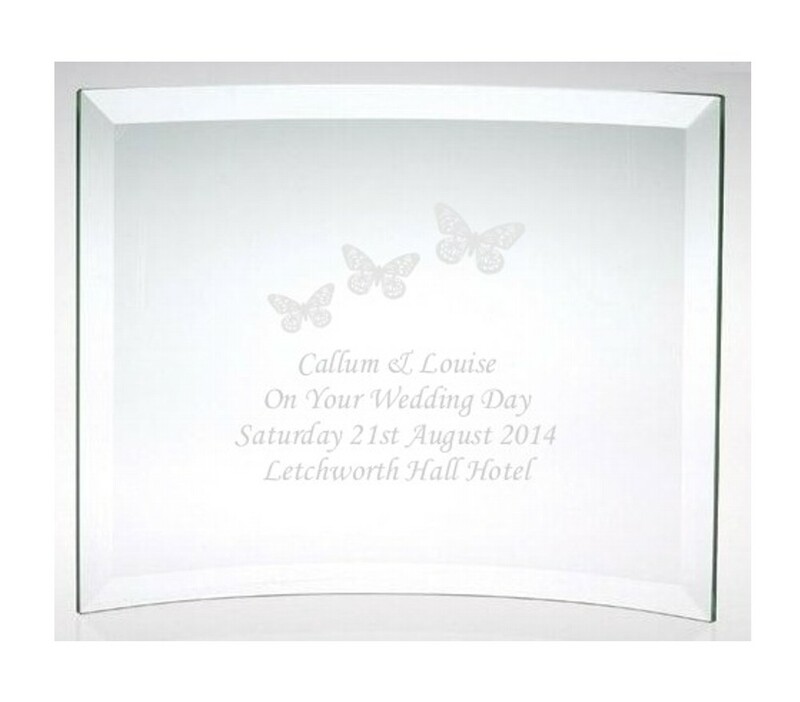 Engraved On Your Wedding Day Glass Butterflies Plaque. This beautiful Jade Glass Bevelled Curved Plaque measures 10 x 14.5 x 5mm and comes in a white box. We have a whole range of these beautiful glass plaques for Wedding gifts, Mother of the Bride and Groom, Bridesmaids, Christenings, Special Birthdays, Anniversaries...it's endless!